Hire surprise entertainment for your special event. These classically trained singers and West End performers have a set-list designed to excite any audience. 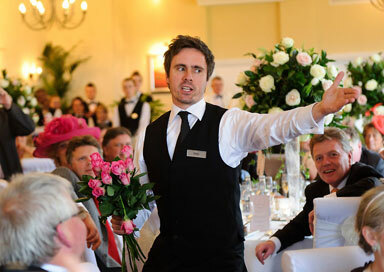 Hire these fantastic Singing Waiters for your wedding, party or event. 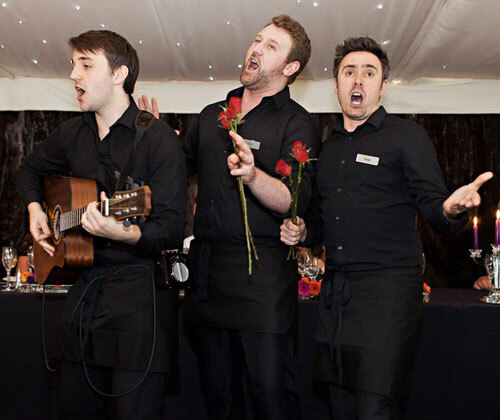 These Singing Waiters accompany themselves with an acoustic guitar rather than backing tracks. They offer the perfect surprise entertainment for your special event. Using classically trained singers and West End performers they perform an impressive range of music with a set-list designed to excite any audience. As Waiters they avoid formal opera and dated backing tracks; preferring to offer unique performances of popular music played live on acoustic guitars. This light-hearted and entertaining take on the Waiters combines music and laughter to great effect. These Waiters greet your guests on arrival posing as real staff; dressed in the same uniform and working alongside the real waiters or catering team. Your guests will not suspect a thing as we serve with witty charm and professionalism; getting to know guests and building rapport. Imagine the surprise when announcements are made and the 'waiters' dramatically break into song, playing guitars and entertaining the room. With amazing vocals, beautiful harmonies and guitar work; a larger than life performance is promised that will have your guests in stitches and singing along. Your guests will never see it coming and we promise to deliver a surprise to inject energy into your event - just when it's needed. The Waiters are unique in the industry because we do not use dated backing tracks; all of our music is played live on acoustic guitars. Their song selection is incredibly varied and covers a broad range of musical styles and genres from classic 'rat pack' music through to the modern day - with everything in between. They promise that every song will be loved by your guests and they won't be able to stop themselves from joining in. 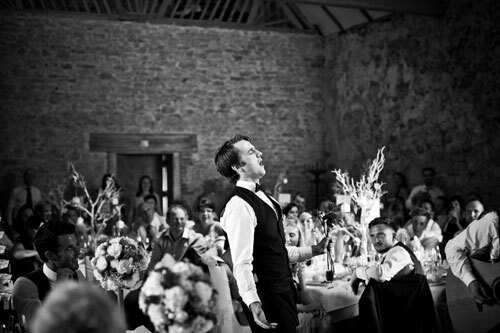 The Waiters have performed at weddings, parties, fundraisers and corporate functions across the UK and abroad. With recent performances at the House of Commons and for the Royal Family we are much in demand. We invite you to watch our two promotional trailers which will give you a much better idea of our act and how it might fit into your event. This performance is unique and as such can be tailored to suit any type of event or venue. 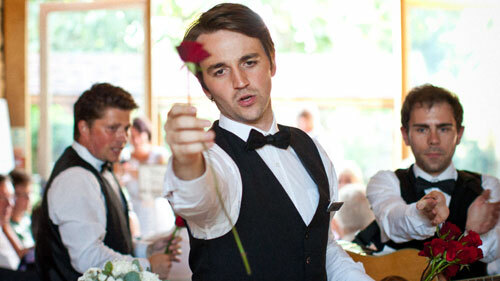 Typically the waiters would be in their roles waiting to greet guests as they arrive at the venue. Working tirelessly through the event we feel that the music performance works best towards the end of any formal meal – over dessert and coffee. Often the waiters will be with the guests for three to four hours before beginning the music performance. The music performance is also very flexible around whatever is appropriate for the event. Performance time is usually 25 to 30 minutes although when working as a mix and mingle act we can play for up to 60 minutes.